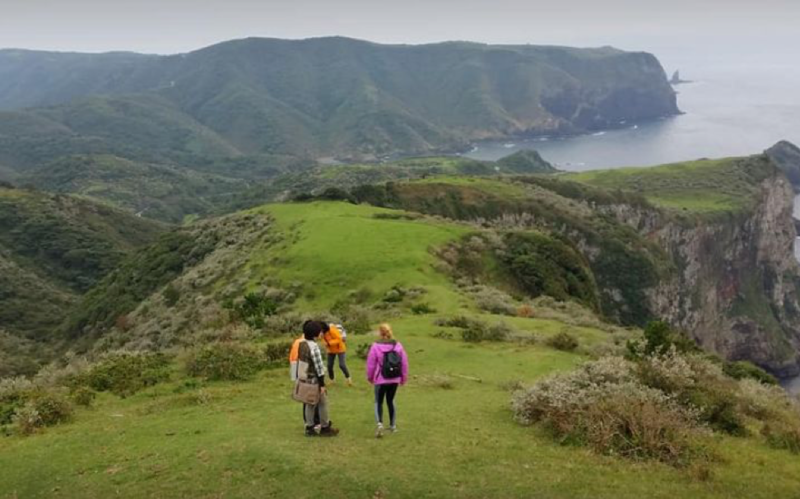 Alice shares of her recent media tour of Oki Islands, just off the coast from Matsue, Japan. 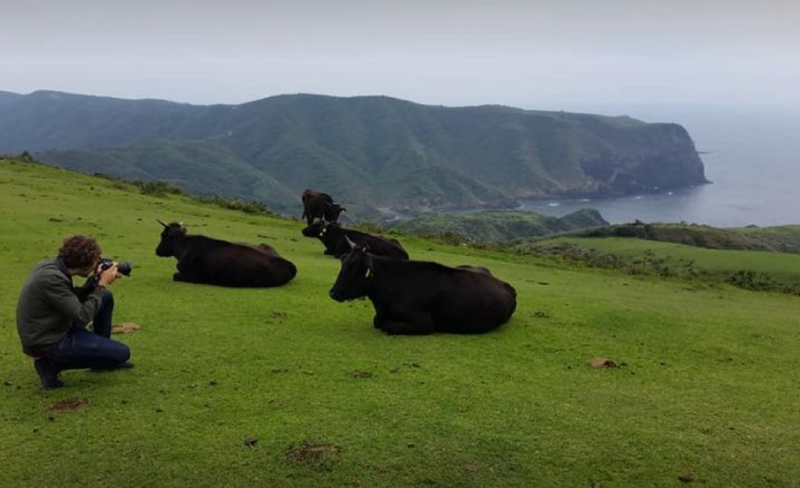 With foreign media on Nishinoshima, Oki Islands, doing the super-impressive downhill trek from Matengai Cliff past Tsutenkyo Arch to Kuniga Beach, in the company of freely grazing cows and horses. Fishing fans!! Oki is the place to catch the big ones: hirame (flounder), ishinagi (Japanese sea bass) and tai (sea bream). 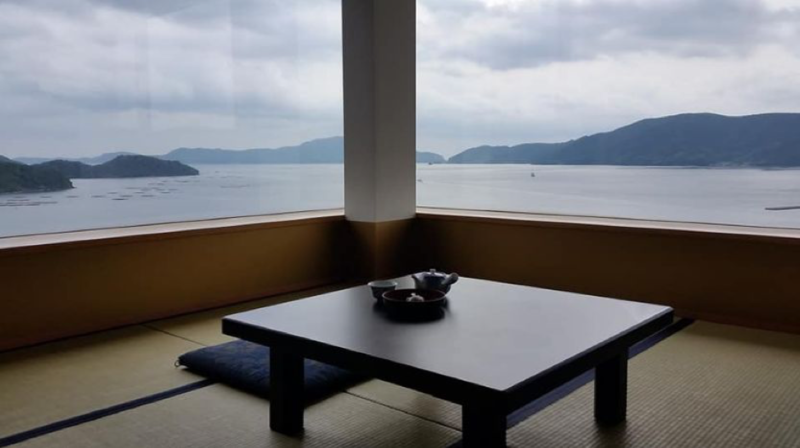 The Tsushima Strait carries food up from Okinawa and the ocean near the islands is deep but with plenty of topography that offers places to hide. 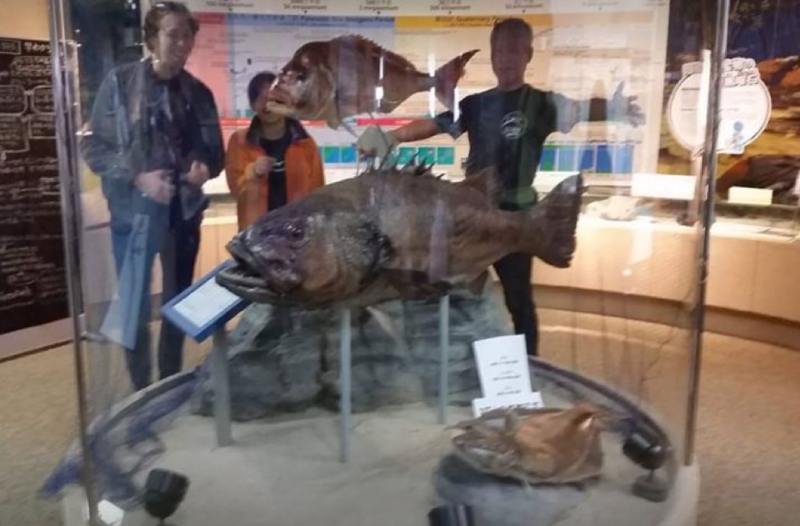 Two years ago someone caught a sea bass even bigger than the stuffed one on this case at the Oki Nature Museum. It was 2 meters long and weighed like 100 kg. They couldn’t pull it out on the single line so they towed it back to shore with two boats. My room for the night, at Kunigaso Ryokan in Nishinoshima, Oki Islands. The view from the bath is pretty darn good, too. Who’s jealous?